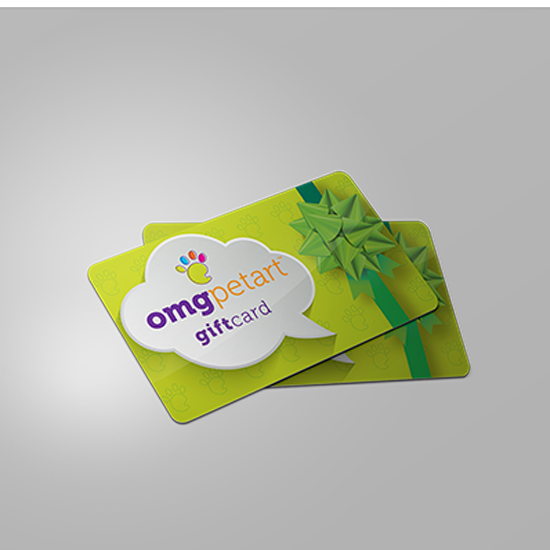 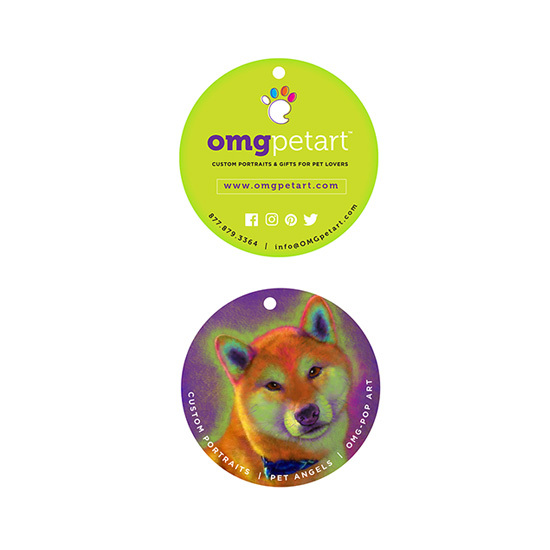 We created an interactive marketing campaign for OMG PetArt to launch the venture and create awareness for their product offerings. 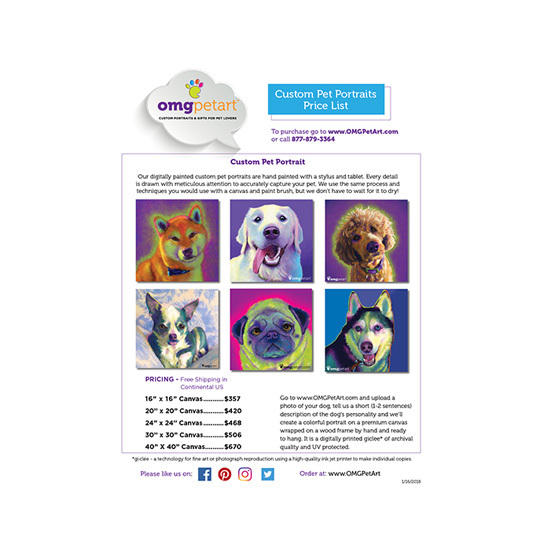 OMG PetArt offers pet lovers the opportunity to own unique art dedicated to their lovely four-legged family members. 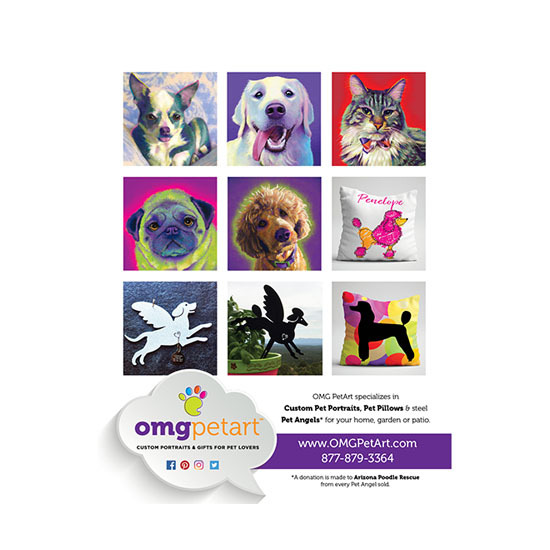 OMG Pet Art specializes in Custom Pet Portraits, steel Pet Angels for garden or patio, as well as fun and funky OMG Pop-Art™ inspired by Pop Art masters. 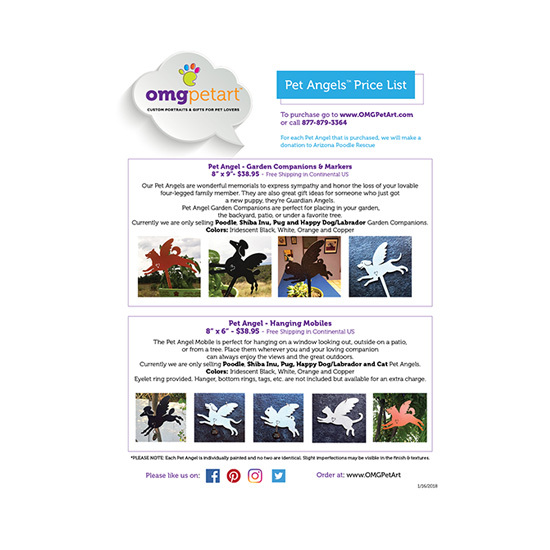 In addition to logo and identity design, we optimized the site (SEO), creating an e-commerce website, FaceBook Ads, product sell sheets, digital and print ads, social media posts, and gift cards. 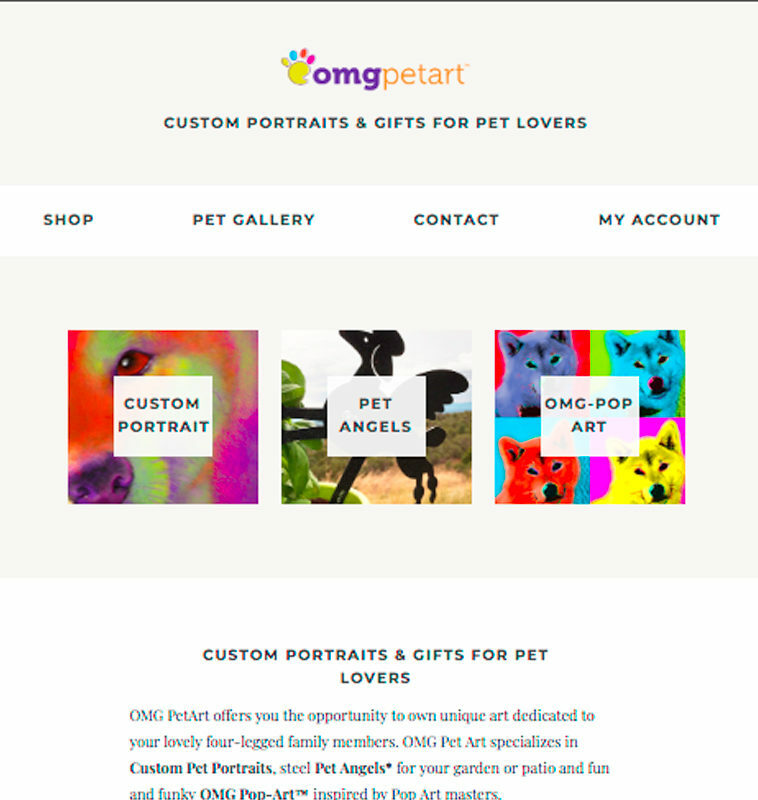 OMG PetArt also has a philanthropic component. 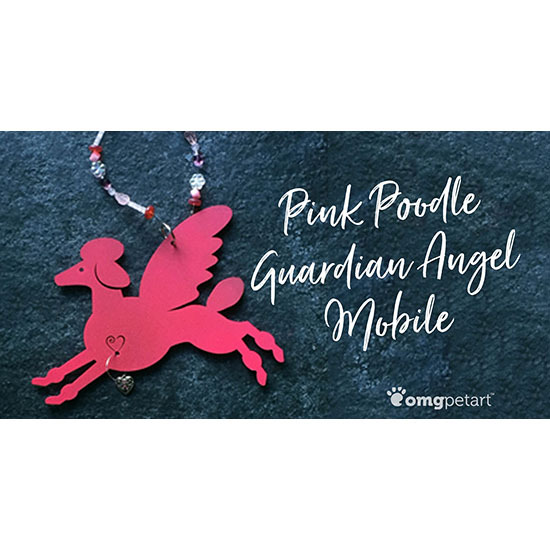 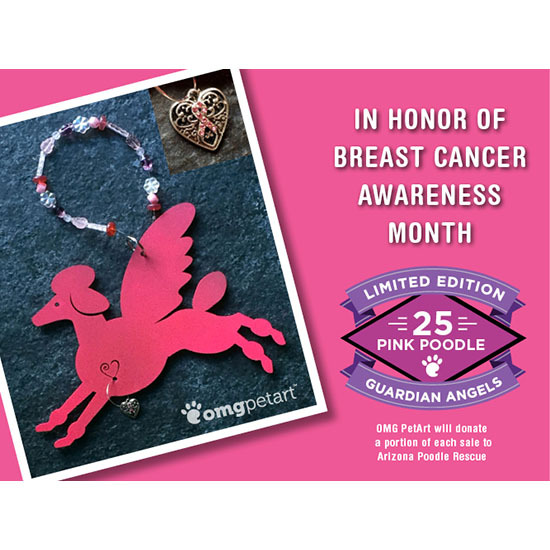 For every PetAngel sold, a donation is made to Arizona Poodle Rescue. 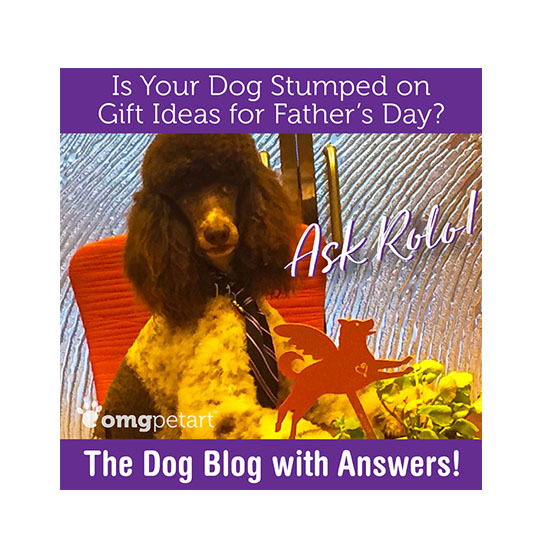 There is also a blog called Ask Rolo, which serves as an advice column written by a dog for other dogs and drives traffic to the website.